As a popular and busy transport hub, the city of Surat Thani is one that you’re likely to pass through at some point during your travels around Thailand. 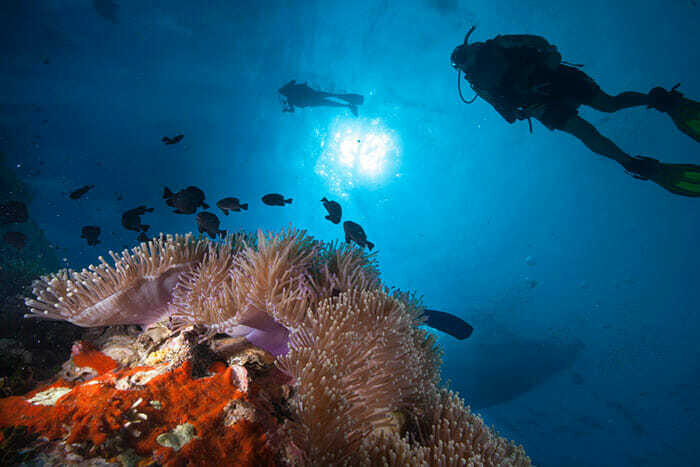 Located about 650 kilometers (406 miles) south of Bangkok, Surat Thani is a gateway to some of Thailand’s most beautiful islands, including Koh Tao with its coral reefs, abundant wildlife, and wonderful beaches. Getting from Surat Thani to Koh Tao is relatively easy, and relatively affordable, with several different options available to travelers. Read on to find out how to travel from Surat Thani to Koh Tao. What Options are there for Getting to Koh Tao from Surat Thani? It’s not particularly far to travel from Surat Thani to Koh Tao, however, being an island, you cannot make the journey by land alone! It’s about 120 kilometers (75 miles) between these two destinations, and although you do have several different options for fine-tuning your trip, you’re going to have to end up on a boat because Koh Tao does not have its own airport. The closest airports are on Koh Samui, Chumphon, and Surat Thani, and many tourists will take a flight from Bangkok to one of those airports, before heading onwards to Koh Tao. Many of the tour operators offer tickets from Surat Thani Airport, making this a convenient option if you did come south by air, or you can make your own way to the ferry port. Full details can be found below. Let’s start with the ways you can get from the airport at Surat Thani to the island of Koh Tao, as this is what many tourists end up doing. There are three different companies: Lomprayah, Seatran Discovery, and Songserm that we would recommend for this trip. All three charge roughly the same for the ticket, so you wont necessarily save any money in choosing one company over another, but, what probably will influence your decision is your schedule and finding which company offers a service that fits in with the time that your flight arrives. Services start as early as 8am, and there are usually more services operating in the morning. 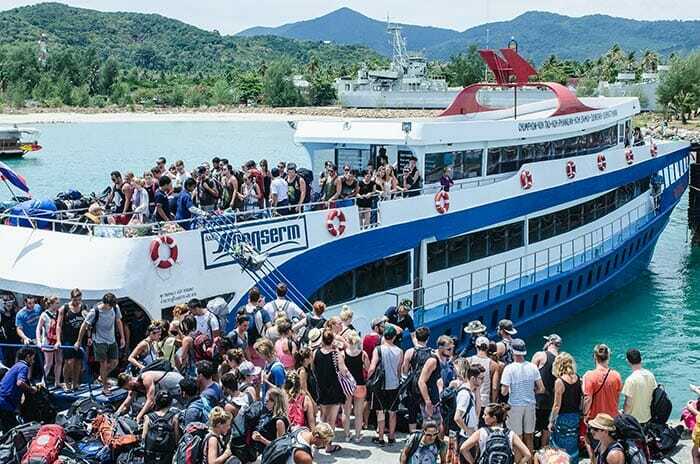 The last bus of the day will be early afternoon, so be sure to check your flight arrival time before booking airline tickets, just in case it does not marry up with a bus and ferry to Koh Tao. The time that this service takes varies a little throughout the day, with scheduled trip times taking from 4 hours and 45 minutes, to as much as 7 hours and 10 minutes, but actual journey times will vary depending on traffic, and on water conditions. Choppier waters means that the ferry will usually travel a little slower than they would if it was calm. Ferries are also renowned for running late, so you could end up having to wait as much as a few hours for your ferry to arrive. Which company you choose may also depend upon the level of luxury you’d like to experience. In many ways, each of these three companies offer very similar services, however, Songserm – who are generally the cheapest – do have limited facilities onboard the ferry, so if you prefer to have a ferry that provides places where you can buy food and drink, perhaps choose one of the others. If you’ve made your way to Surat Thani Train Station and now want to travel onwards to Koh Tao, you can catch a bus and ferry direct from the railway station. The only drawback with this is that there are just two operators providing this particular service, and they both depart in the early morning. Songserm are the cheaper option, saving you several dollars per ticket, but the drawback is a standard ferry with reduced services onboard. The trip from the train station in Surat Thani to Koh Tao takes around 6.5 hours, while traveling with Lomprayah will save you around 15 minutes and give you better facilities onboard, plus the benefit of a newer and more comfortable high-speed ferry. However, it does cost a little more. If you’ve already done all of your traveling, or you’ve been staying in the Surat Thani area for a few days, you can get a ticket that just covers the ferry. 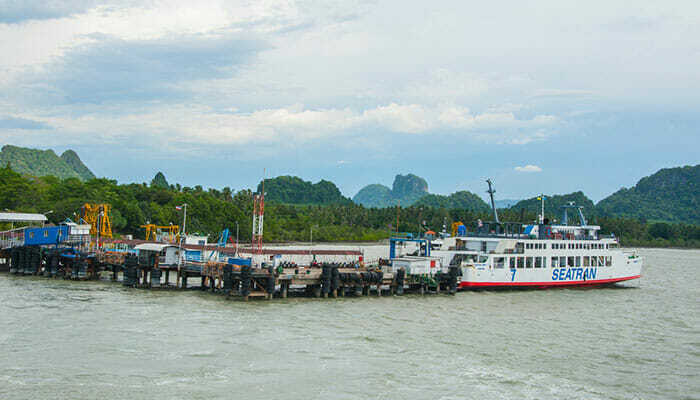 As with the ferry options mentioned above, there are a couple of different routes and services you can take to get from Surat Thani to Koh Tao. One option is the night ferry, available through Songserm. This is a roughly 7 hour journey, departing from the Night Boat Pier at Surat Thani. The benefit is that you’re not wasting any precious daylight by traveling this way, but, it’s not going to be a particularly comfortable journey, so you may end up without any sleep! Lomprayah is perhaps a better option. Their high speed (and comfortable!) ferries, depart from Tapee Pier, one leaving in the morning and one in the afternoon, taking between 3 hours and 15 minutes, and 3 hours and 45 minutes, or you could choose to travel with Seatran Discovery. They have a bus service from the Seatran Bus Terminal on Talad Mai Road that will take you to their pier. The bus section of this trip does add quite a lot of travel time, increasing the journey to around 6 hours. All ferries arrive at the same place on Koh Tao; Mae Haad Pier, which is centrally located along the west coast of Koh Tao, making it relatively easy to get to other points on the island from here.